Whether for traditional occasions or weddings, there can be nothing better than this red hanging bag. 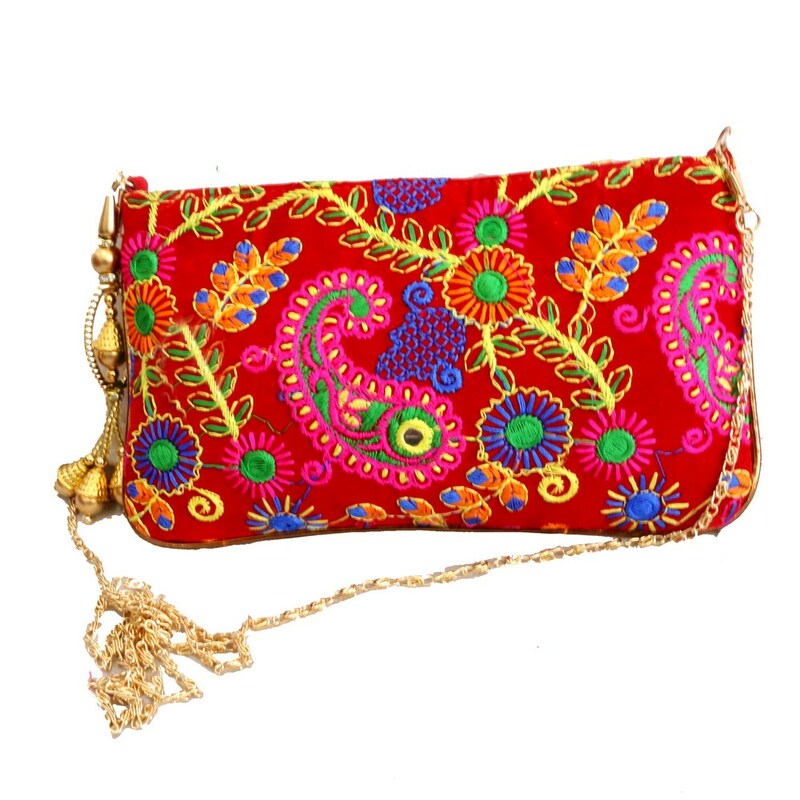 The purse is a small one with golden sling Read More..attached to it, giving it a royal look. The entire bag has been engraved with neat and thorough embroidery designs in a colourful mesh of threads. Show Less..